After a little rush to start the year and with more waiting in the wings, it's time to round up the most recent new additions to our brewery, venue and bottleshop directories with a dozen (plus two) stretching from Albany in WA to a trio in Brisbane. It's a roundup that takes in regional brewpubs, top notch bottleshops, intimate bars and classic boozers and means you can find detailed listings for them in the free Crafty app as well as in the directory itself. You can find the previous Crafty Dozen roundup here and more on how we operate here. Ballistic Alehouse & Kitchen (QLD) – The beer side of Ballistic got off to a flier and hasn't paused for breath since. And the crew at the Salisbury HQ decided they should bring their wares closer to the heart of Brisbane in 2018 with the opening of a welcoming Alehouse & Kitchen in the city's West End. Miss Moses (VIC) – Well travelled beer man James Knox and family took over the venue that had previously been home to the BrewCult Bar and set about turning it into a haven for locals. It's one centred around great beer (including a tinnie-based happy hour) and small batch spirits and wines, beer-focused food and a passion for blues, rock 'n' roll and alternative country. Wilson Brewing (WA) – Anyone wanting to establish a regional brewpub that the local community will take to heart would be wise to call in to Wilson, just outside Albany, to hang out with founder Matty, his family and the team there. It won't take long to surmise why the man who designed their branding reckons Matty will be the local mayor soon enough. 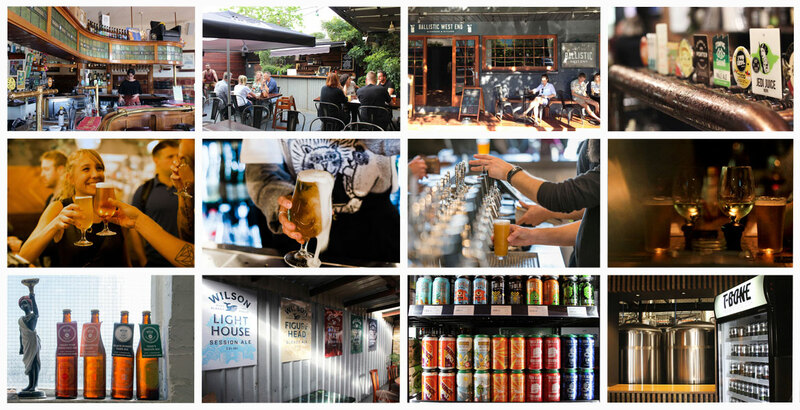 Crafty Cabal Member offer at Wilson Brewing Co: 10% OFF ALL TAP BEER! Meatmaiden (VIC) – Good beer hasn't made inroads into the world of quality dining as fast or as deeply as one might have hoped, but the world of smoked meats, BBQ and brisket has proved a perfect pairing. Melbourne's Meatmaiden is a case in point, with rotating taps and boilermakers sharing the limelight with 40 day, in-house-aged porterhouse steaks. T-Bone Brewing (TAS) – These days, you don't have to wander far between stops to find your next good beer haunt in Hobart. The stroll up Elizabeth Street is proof, with T-Bone's warm and welcoming brewpub – home to a dozen taps pouring co-owner Tom Bignell's beers – a key stop, hosting regular live music and the odd street party too. The Park Hotel (VIC) – The Melbourne suburb of Abbotsford has been undergoing something of a crafty renaissance in recent times with three of its historic pubs coming under new ownership and being revitalised. First to receive a fresh injection of love was The Park, with the team from Richmond's Royston bringing their skills to a second home. The Retreat Hotel (VIC) – Head out the main door of The Park, turn left and you'll spot The Retreat, another iconic corner pub (once the local in The Sullivans) enjoying a fresh lease on life. As with The Park, the new owners arrived with quality credentials having turned The Palace in South Melbourne into one of the best pubs found south of the Yarra. Tippler's Tap South Bank & Tippler's Tap Fortitude Valley (QLD) – The Tippler's Tap name has been associated with good beer in Brisbane since the earliest days of its rise in the city. And, while the original home is long gone, now lovers of all things delicious have two venues to pick from. Molly Rose Brewing (VIC) – Regular readers will have come across Nic Sandery on The Crafty Pint as he's documented his beer travel experiences for us as well as providing insight into beer and brewing. The young brewer also produces some delightful beers and is set to bring them to the world via a brewpub in Collingwood in the coming months too. Bottle House South Yarra and Balaclava (VIC) – Bottle House started out with two mates keen to help the folks of South Yarra find the perfect bottle of wine for their needs. 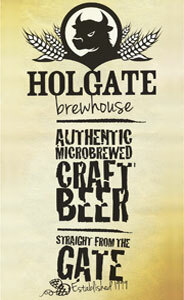 Now, with a second outlet in Balaclava bearing the sign: "Bottle House welcomes you to craft beer heaven!' there's plenty for beer fans to explore too. Willie The Boatman (NSW) – One of the pioneers of the beer scene in Sydney's Inner West and home to some of the most gregarious brewery owners you'll find anywhere in Australia, Willie The Boatman laces its beers with local references and is set to move to a larger venue a stone's throw away in 2019. Malt Shed (VIC) – The High Country Brewery Trail continues to grow, with stops in many regional towns, cities and rural locations plus local pubs increasingly showcasing their beers too. The trio behind Malt Shed have not only brought local beer back to Wangaratta but are looking to bring the sort of experience you'd find at a quality pub to their venue too. You can find all of the above plus hundreds of other good beer joints around Australia in the free Crafty Pint app, which you can download here.